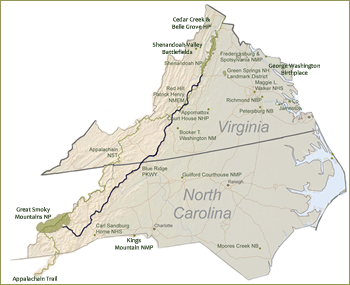 Blue Ridge Online is a travel and vacation guide for the Blue Ridge Mountains, Blue Ridge Parkway, Great Smoky and Appalachian mountain ranges of the eastern United States. 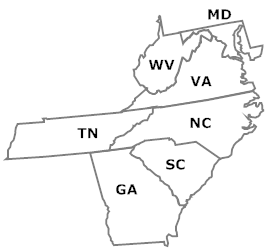 Specializing in North Carolina, Virginia, Tennessee, Georgia and West Virginia mountain tourism. Where to stay? What to do? In the Blue Ridge, look no further find Secluded Cabins for Rent, Luxury Bed and Breakfast Inns, 5 Star Resorts, Blue Ridge Parkway Lodging, Historic Hotels, Unique Motels, Things to do and Beautiful Mountain land for Sale all just a click away. Kanawha Valley Arena Resort is a Western Themed Resort located near Dugspur,Virginia & the Blue Ridge Parkway.We are the ideal Vacation Destination for enthusiasts of Motorsport Events,Equestrian Events, Motorcycle Events, Wedding Events & Outdoor Adventures.We offer several lodging options including our new Hotel,a modern Campground with full hook ups & shower house,Vacation Homes,a Western Saloon with Food & Beverage, an Antique Carriage Museum & a Professional Arena to host Events. When it comes to fun & outdoor recreation, there are no boundaries in our spectacular region of the Blue Ridge Mountains.There are many great hiking trails,waterfalls & scenic roadways.Elevations top 4000 feet opening up to views of the green valley floors below.There are many outdoor wonders to discover on your exploration of Marion,Old Fort,Little Switzerland,Linville Falls & Lake James.Enjoy caverns,gold mines,antique shops,bluegrass jams,swimming,canoeing & biking. Hot Springs Rafting Co. is a family owned company dedicated to custom whitewater rafting,tubing,and funyak trips,giving you the exact river experience you’re looking for. Our experienced and fully certified river guides insure you get the most out of every minute you spend on the water. We offer full-day, half day trips at 9am and 1pm.Located near Asheville, between Marshall, NC and Newport, TN. 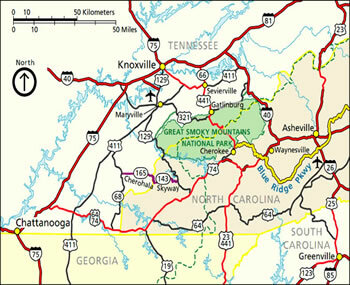 We’re also close to Knoxville, and just a short drive from Pigeon Forge, Sevierville, and Gatlinburg. French Broad Real Estate Company with offices in Asheville and Hot Springs, NC. If you are wanting to buy or sell a home,condo,cabin,farm or land in Western North Carolina you have come to the right place. You will find seasoned, experienced and ethical real estate professionals who understand the regional market whether it be in Buncombe, Madison or the surrounding counties. Customer service is our hallmark and we work hard to walk you through the process of buying or selling real estate. Two Rivers Lodge is an American, family owned, nostalgic, Mom and Pop Motel on the Oconaluftee and Tuckaseegee Rivers. We provide a relaxing casual environment from our homey rooms, deep porches and outdoor spaces to our large pool and kiddy pool. This is the perfect base camp for your motorcycle groups, sports car club, family reunion, river adventure or hiking trip with easy access and central location to all of the best roads and attractions. Welcome Home! We are proud to share with you our little piece of Heaven, Little Main Street Inn & Suites. Our unique condo style suites come in 1 & 2 bedrooms featuring all the comforts of home. We are central to Grandfather Mountain, Ski Sugar, Ski Beech, Blowing Rock, Lees McRae College and APP State, Linville Falls, The Mast General Store, Golfing, Fishing, River Rafting, Mountain Biking, Hiking Trails and waterfalls. Little Main Street is Banner Elk's Number 1 rated hotel on Trip Advisor. Pioneer Rental Management is a full service Vacation Rental and Management Company serving the Gatlinburg and Pigeon Forge Area. We are dedicated to providing the most luxurious cabins with the best views of the Smoky Mountains, Gatlinburg and Pigeon Forge at the best possible rates. You will enjoy our great customer service as we assist you with finding the right Vacation Rental to meet your needs. The Blue Ridge Parkway follows the Appalachian Mountain chain for seemingly endless views of parallel ranges connected by cross ranges and scattered hills. From the Shenandoah National Park the parkway follows the Blue Ridge, eastern rampart of the Appalachians, for 355 miles. For the remaining 114 miles it first skirts the southern end of the massive Black Mountains, named for the dark green spruce and fir that cover them. 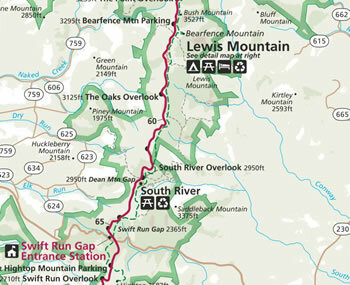 Then it weaves through the Craggies, the Pisgah's, the Balsams to end up in the Great Smokies. Blue Ridge Parkway Lodging Click Here! Great Smoky Mountains National Park part of the Appalachian system, on the N.C.-Tenn. border; highest range East of the Mississippi and one of the oldest uplands on earth. Shenandoah Valley extends southwestward from the vicinity of Harpers Ferry, West Virginia, on the Potomac River and lies between the Blue Ridge to the east and the Allegheny Mountains to the west. Drained by the Shenandoah River, it embraces nine counties Berkeley and Jefferson in West Virginia and Frederick, Clarke, Shenandoah, Warren, Rockingham, Page, and Augusta in Virginia.